I was born and brought up in Orkney. I moved to Edinburgh in the late nineties to study jewellery and silversmithing at Edinburgh College of Art. I now live and work on the coast in Fife but return to Orkney frequently to visit family and gather information for my work. From my studio in Fife I create work for exhibitions in the UK and internationally. Collecting and studying objects found on the shoreline is the starting point in my creative process. The objects inform the colours, textures and compositions of my jewellery. Pebbles are combined with silver and enamel to create beautiful, distinctive jewellery. I use subtle, translucent enamels to depict the sun bleached colours I observe on the shoreline. 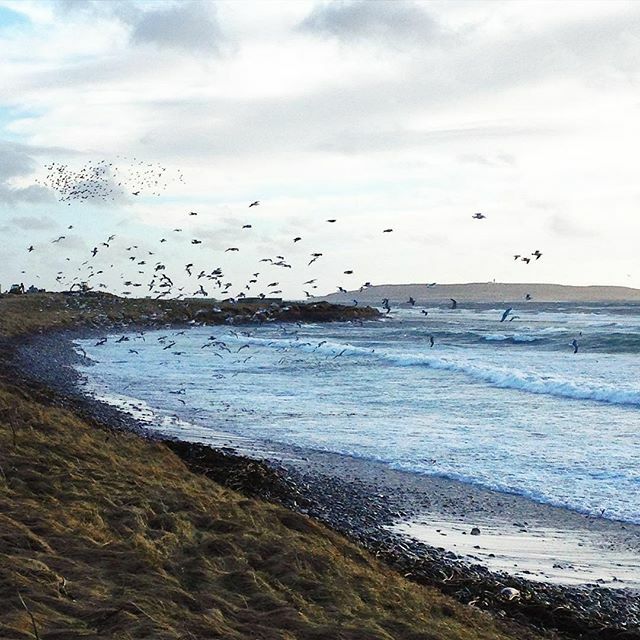 Orkney is an archipelago off the north coast of Scotland and the shorelines of these special islands are the main source of inspiration behind my jewellery. Growing up in Orkney, I spent a lot of my childhood on the beach searching for pebbles, driftwood and shells. I aim to capture something of this unique place in each piece I create.